1. 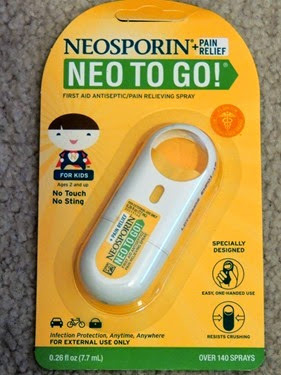 Neosporin Neo to Go: “A convenient no touch, no sting spray that fits anywhere to give you infection protection, plus pain relief, on the go. Specifically designed for one-handed use and is great for your purse, kitchen, desk, workshop, golf, gym, or travel bag.” Value: $7.50. My thoughts: I will definitely carry this with me for those sudden falls and scrapes kids are prone to! 2. Puffs to Go: “Puffs To Go are perfect for use in the car, in your purse, on-the-go, wherever you go! Plus, Puffs are Dermatologist tested to be gentle.”Value: $.49. 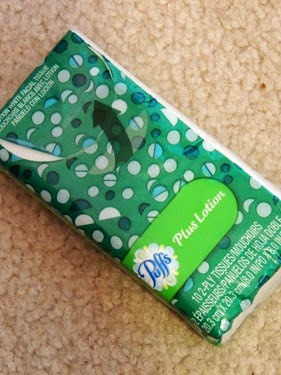 My thoughts: It’s always great to have extra tissues when you’re out and about! Going straight into my bag for sure. 3. 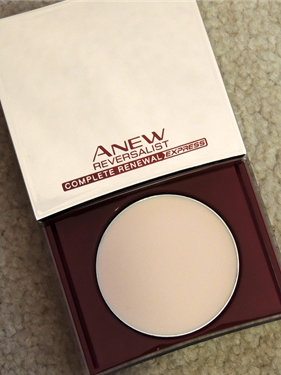 AVON Anew Reversalist Express Wrinkle Smoother: “A finishing cream-to-powder skincare perfector in a portable compact, for application over moisturizer or makeup. Instantly reduces the look of any type of wrinkle on the forehead, crows feet, and eye area.” Value: $30. My thoughts: Seems to work, goes on smoothly and feels good to the touch. 4. 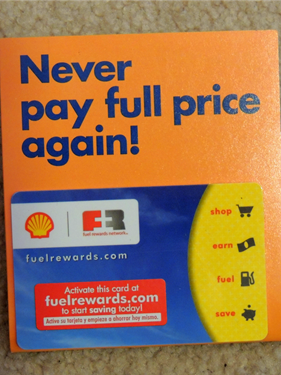 Shell Fuel Rewards Card: “The Fuel Rewards Network program at Shell is a free loyalty program that helps you save money on fuel. Earn Fuel Rewards® savings on things you already do like shopping online, dining out, buying groceries and watch your price drop at the pump!” My thoughts: This would be a good idea, but there are very few Shell stations near where I live! 5. 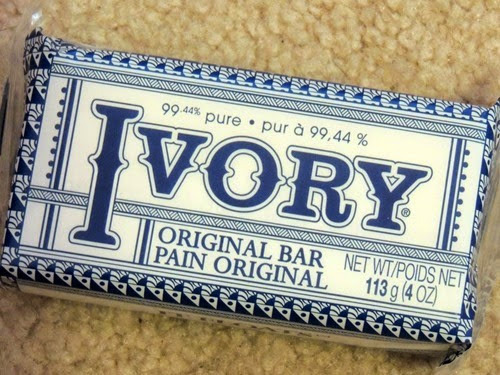 Ivory Bar Soap: “Ivory bar soap is 99.44% pure (it floats!). It provides healthier, smoother and more even-looking skin.” Value: $.39. My thoughts: I very rarely use bar soap, I prefer body washes. Maybe my husband will use it though! 6. 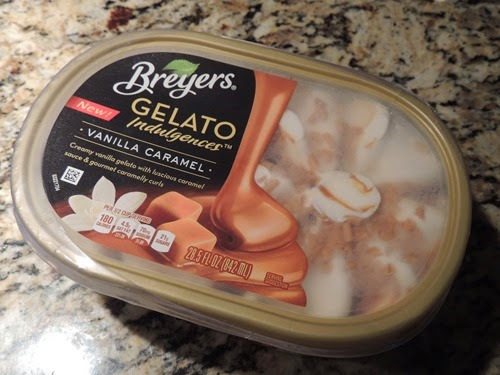 Breyers Gelato Indulgences: “New Breyers® Gelato Indulgences™ are available in four delicious varieties featuring a trio of textures – creamy gelato, luscious sauce and gourmet toppings – for the ultimate indulgence. This new treat makes for a great at-home indulgence and impromptu date-night.” Value: $4.49. 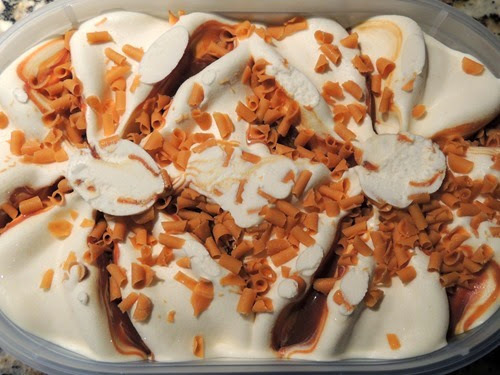 My thoughts: Looks super yummy, and what do you know? It tastes great too! Totally not good for my diet, but I sacrificed to share my thoughts! Yum! 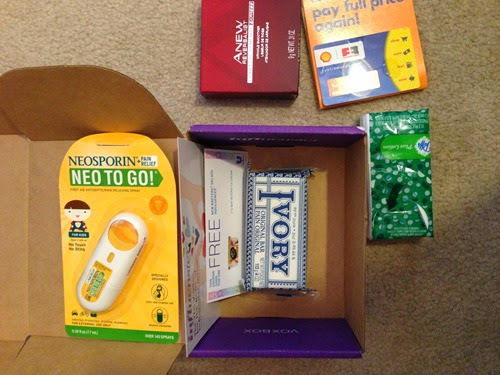 If you’d like an invitation to Influenster, leave me your email address and I’ll send you an invite! Also, let me know your thoughts on any of these products!